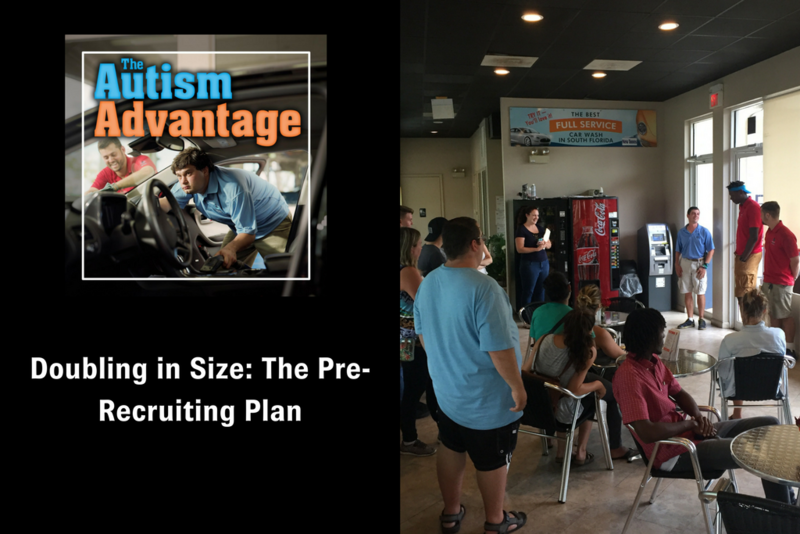 [00:54] – Tom Sena takes a moment to explain what Rising Tide Car Wash is going to do next week, which is one of the largest-ever mass recruiting initiatives for people with autism ever. [01:28] – Tom D’Eri talks about the overarching strategy in terms of getting the teams ready for the new location. Tom S. then points out that they’ve had the opportunity to push their current staff forward into stronger roles. [03:36] – An important point is that the first location started about 4 years ago as a brand new thing. Tom D. talks about that experience, as well as the company’s expectations for employees. [05:54] – We hear more about the company’s standards-based training and how Rising Tide Car Wash evaluates potential employees. [08:23] – The company is looking to bring around a hundred candidates in for interviews next weekend. We learn more about how the hosts anticipate this process will go, and where they came up with the numbers of interviewees and employees they expect at each step. [10:43] – We learn that Tom S. has been deeply involved throughout the whole recruiting process. He discusses how things have progressed so far, and how he encouraged more people to get involved. [13:58] – It’s both a blessing and a curse, Tom D. points out, that they have very little turnover. [16:02] – Tom D. talks about the community partners he has previously mentioned. He points out that the local school district is a great resource in terms of recruiting. [18:23] – We hear about the great community that Rising Tide Car Wash is part of (and has helped to create). We also learn that two universities are involved in doing a study about the company. [20:39] – Tom and Tom talk a bit more about the growth of the team and the anticipated impact of getting so many new people in the door, as well as what they’re excited to see during this process. [22:53] – The best thing about the job is seeing the growth of people over time, Tom D. says. [24:56] – We learn why it’s so important to structure the interview process in a concrete way that involves doing specific tasks within the work environment rather than using standard conversational interview methods. [26:32] – Tom D. offers the example of a specific employee, Matt, who had hundreds of interviews but was never hired simply because the interview process didn’t play to his strengths. At Rising Tide Car Wash, he’s one of the best employees. [28:10] – What are some of the potential pitfalls that might come up, such as distraction issues?